Here we'll list events and activities scheduled for the next month. We'll update this page frequently, so check back often to stay up to date. This is a fun and easy variation of Canasta. Come join us and learn how to play!!! Bring a brown bag lunch. 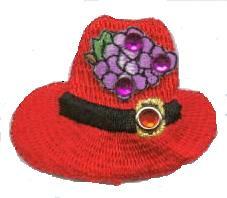 Join our RED HAT SOCIETY- "Fearless females in search of friends."